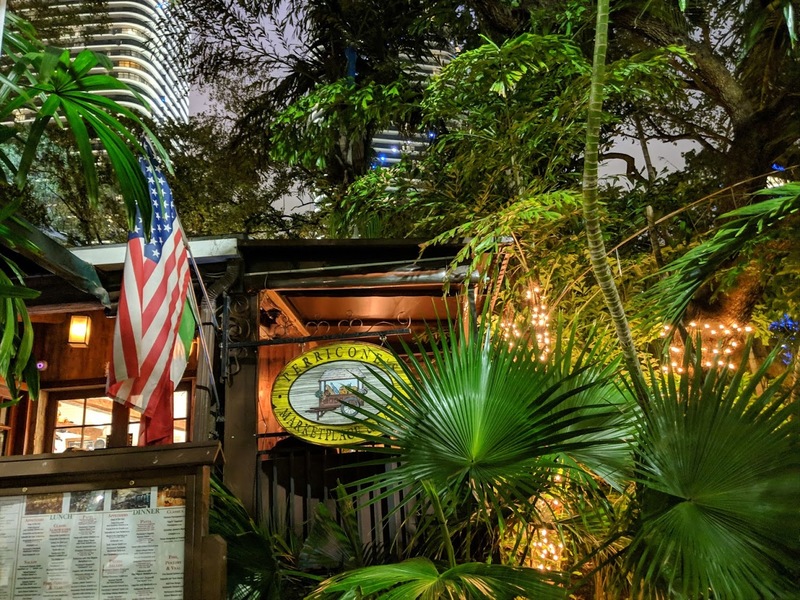 Perricone’s has announced that Friday, February 15th will be the last day that their current Brickell location is open. The building is slated for demolition, to be replaced with a 21-story CitizenM hotel. 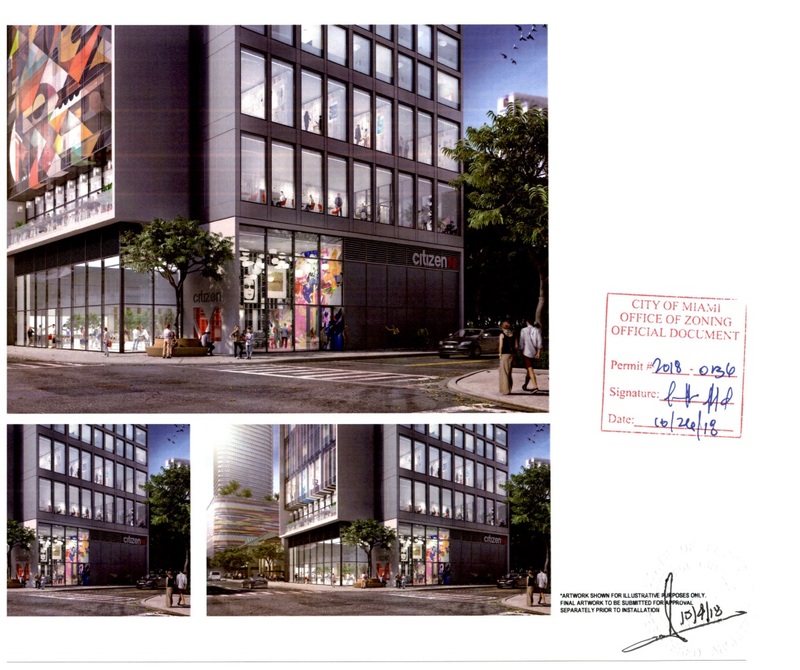 Planning Department approval for the new CitizenM has already been granted. Demolition Permit – an application for total demolition of a 9,000 square foot building at a cost of $165,000 was submitted November 30, 2018. It has been resubmitted four times, most recently January 30. Most reviewers have now approved, but final approval still has not been granted. Construction permit – an application for new construction of a 252 room hotel was accepted December 19. It is not approved, and was being worked as recently as last week. This is the one building I wish Mana did buy. Then Perricones would be there forever. Well hell, if you’re going to miss the place so much, why didn’t you buy it? No, you want somebody else to do the heavy lifting to please you. Be quiet Mana. Go play with some Lego blocks. 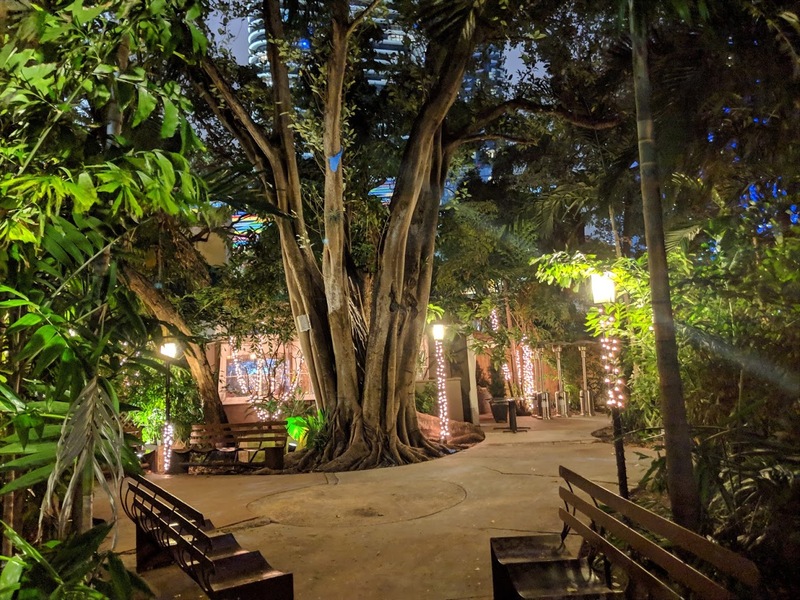 Heck, those trees are lucky they survived hurricane Irma… a lot of trees in Miami didn’t. Trees grow like weeds here. Except most trees lost were not replanted. Those that were saved are thriving. And most of those trees that were saved by replanting will be blown down again in the next hurricane. Yeah, screw trees, they only get blown down! f ’em! Spoken like a true Hialean. Son, I’ve survived through more hurricanes in Miami that you’ve seen. That’s the problem with Miami now, too many whiny little crybabies like you get offended about anything somebody says. Spoken like a true little wimpy mama’s boy who lives in the suburbs and still gets his nose whipped. To all the tree-hugging pansies downvoting this comment: just remember that over 100 people are killed by trees every year (reliable source: https://www.reiffandbily.com/100-people-killed-trees-every-year-united-states/). Do your part and illegally chainsaw down a tree today, you could save somebody’s life! OK…thanks for the tip…very helpful. one should fall on you! Yeah…more people are killed by trees. But I’m a young dopey kid who is ill equipped to have meaningful personal relationships. Therefore, I parrot what my dopey professors say, hug trees not people. More people are killed or victims of other crime by illegals every year who “do jobs that you don’t want to” like cutting down trees. This will be an absolute nightmare. Where will cars pull into the hotel? This is a highly trafficked, and narrow road. Is there seriously no driveway for cars to pull in when dropping off / picking up passengers? So hundreds of uber cars will just be stopping on Tenth street picking up and dropping off hotel guests? 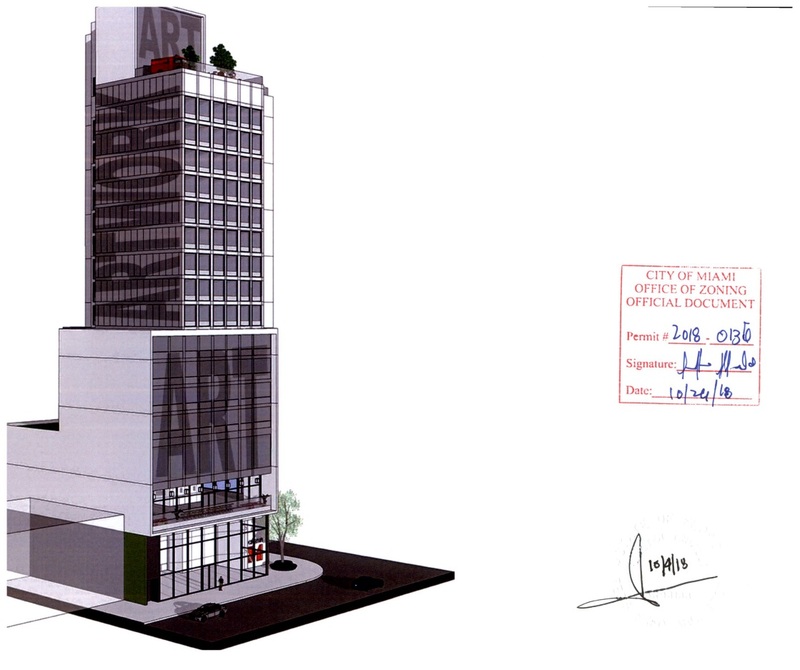 How about deliveries for a 21 story hotel with ground floor restaurants? Delivery trucks for Perricone’s are bad enough – now compound that by 10x. 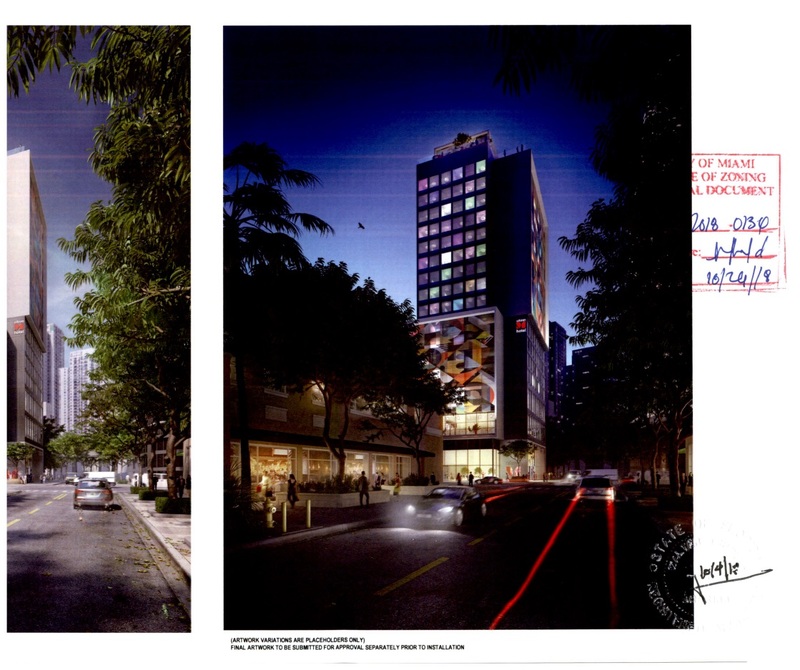 Add in Brickell Flatiron on the adjacent corner, and you might as well just shut down that portion of 10th street. I am all for added density and concentration on becoming a more pedestrian city. But that is a crucial thruway to get on / off Brickell Avenue to go east / west. 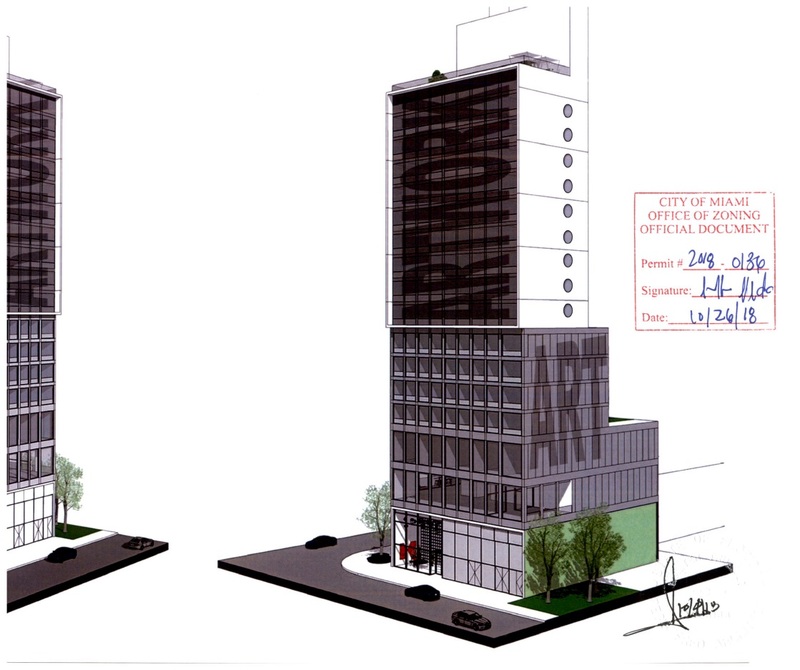 The micro hotel concept is bad enough – but this will be an absolute disaster from a traffic perspective. So kool you didn’t have to risk any of your money and then figure out all these technical difficulties that’s seems to be haunting you. Done everyday in busy cities.. think narrow streets of San Francisco, NY, Boston, Phily, Chicago.. But the drivers in those cities know how to drive. This is Miami for cripe’s sake. As long as there is money laundering, these projects will remain profitable. Once that stops, we’re all screwed. Wow Magazine. Take a deep breath. 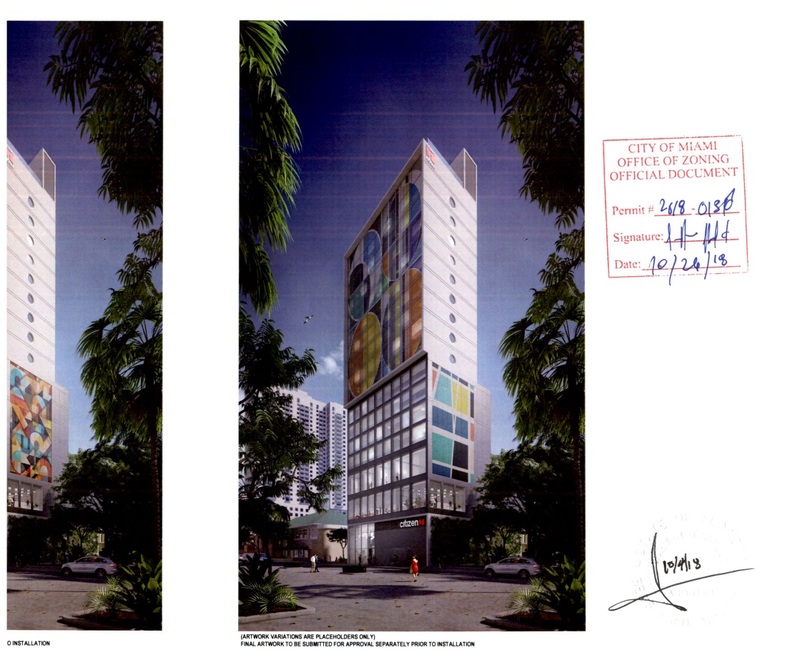 The 21 story hotel at the base of the 10th Street Metromover entrance will he fine. 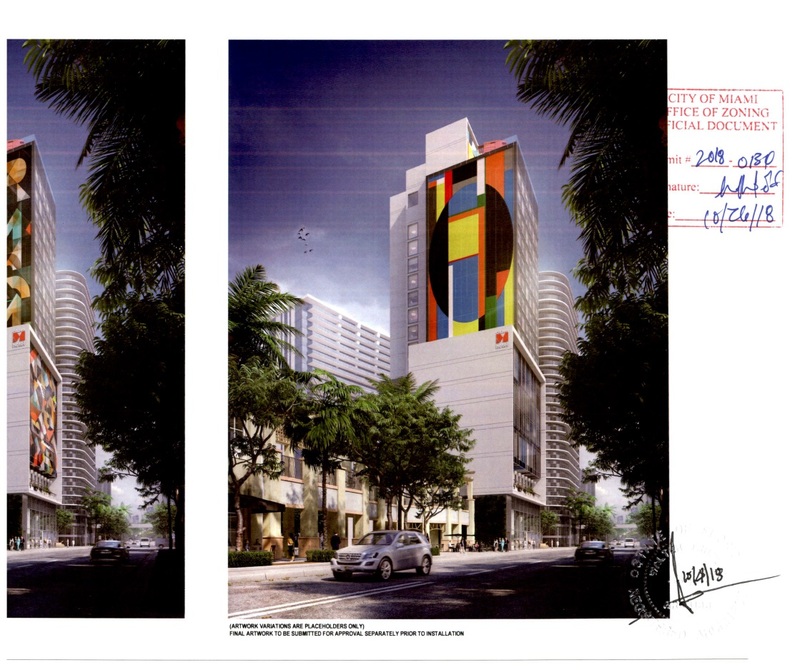 SW 8th St and SW 7th Street are the main through street (do I really have to say that), a little 21 story hotel’s impact is negligible impact in a neighborhood where there’s a 58 story 530 unit hotel/condo is one block away. RIP Perricones! At least the park next door will survive. Not a fan of those cruise ship-like window holes. Trying too hard. They look to be fairly large. Could be interesting from the inside at least. Wow, what a nice blank wall to the east facing the park! I can’t beliwve they are replacing this beautiful corner with that ugly thing. At least make it modern. That crap looks like Austin Powers condo. There is a Starbucks one block south. Do you even live here? Asinine comment. Does anybody know what the denied permit request to move the trees mean? Welcome to Miami, A city that replaces parks with parking garages with condos on top. Since this is the new thing, we should just removed all of the sidewalks and replace them with freeway ramp that will connect to the new double deck highway. Love all the new infrastructure coming with these hotels!! Miami winning!